"James Franklin Fuller, Architect & Genealogist" by Bob Frewen, 2014. "Jean Prosper Guivier: His Life and Family" by Stephen Thomson, 2009. 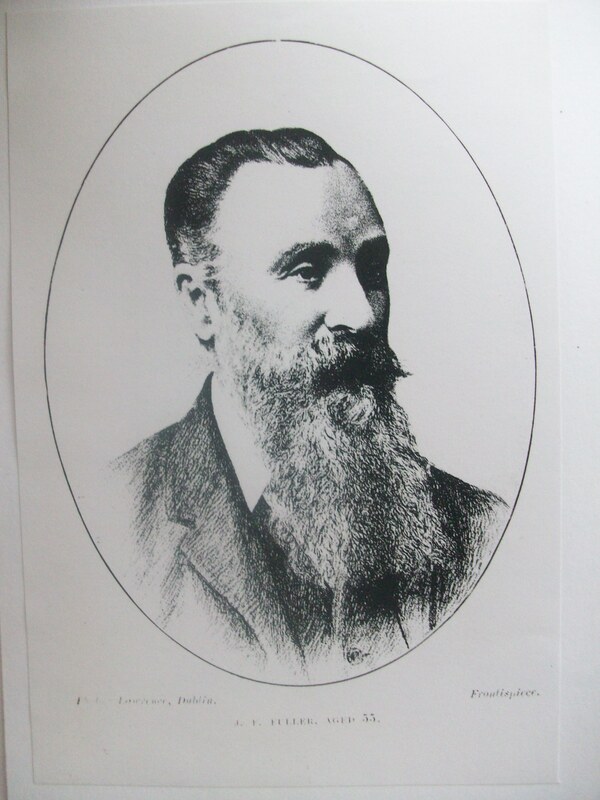 "James Franklin Fuller" by Adrian Stokes. See full size (and copy). Formerly here in Stokes family photos by Teresa Stokes. to Helen Guivier [Hyacinthe Palmire Helene Guivier, French, born 30 Dec 1838, Rue Capron, Paris, see map]. She was dau of Jean Prosper Guivier, a noted musician, son of Etienne Simon Guivier, a French soldier and POW on the Russian front. The family name survives today in J P Guivier violin dealers, London. See The legend about Helen Guivier's origin. 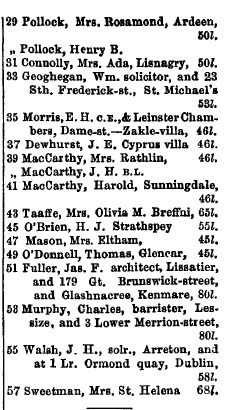 JFF had from around 1870 on an office at 179 Great Brunswick St, Dublin. 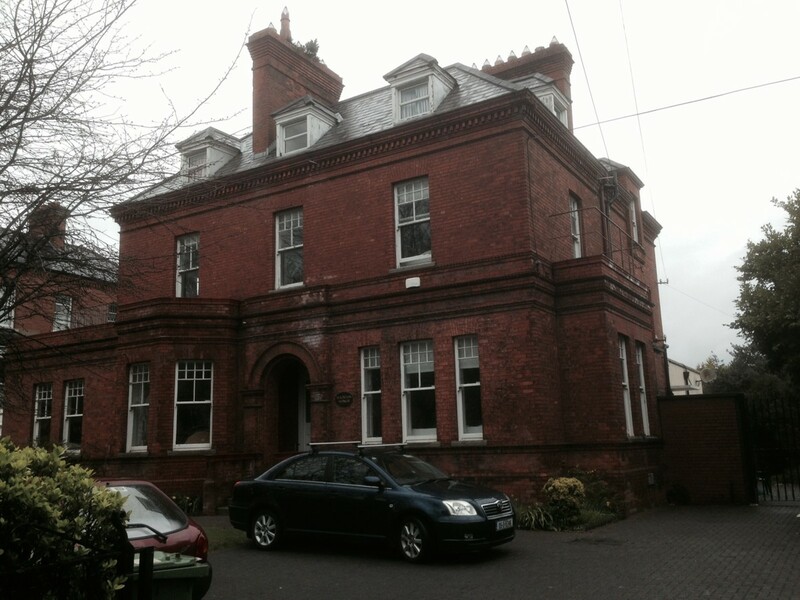 In [Thom's] 1872 to 1898 he is listed as living 5 Sydenham Rd, Dundrum, Co.Dublin (see street view). 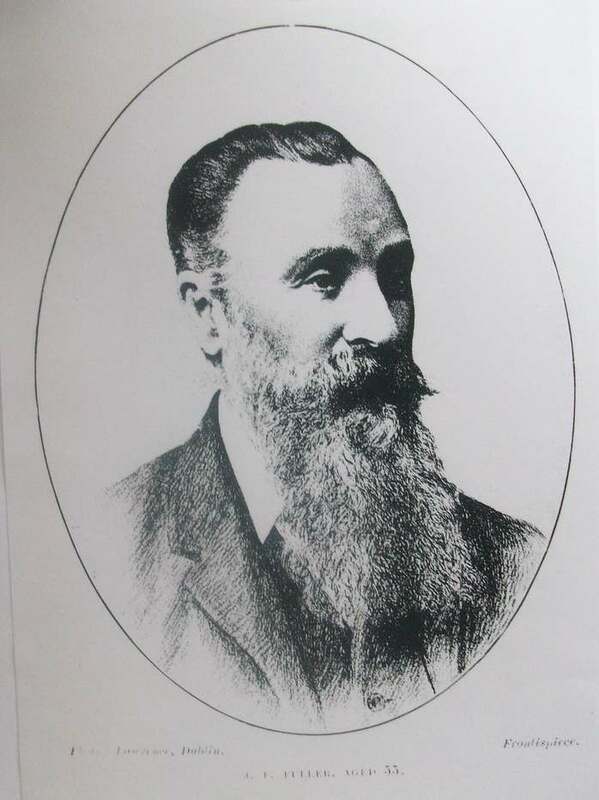 Inherited Glashnacree after father's death 1886. He was a historian and genealogist, FSA, MRIA, member of [CHAS]. 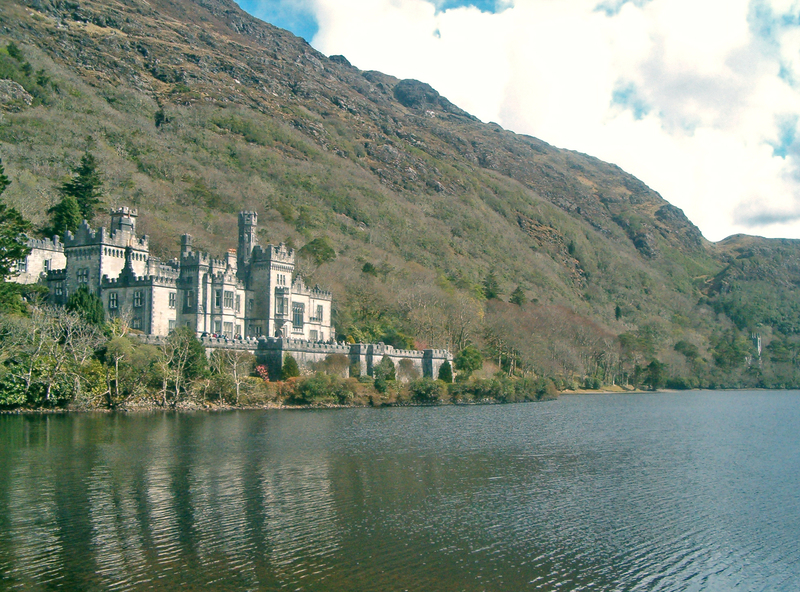 He co-designed Kylemore Abbey, Connemara (see street view). He enlarged the O'Hara seat, Annaghmore, Co.Sligo, 1871. He re-built the seat of the Barons Ventry, Burnham House, Co.Kerry, 1874. He remodelled the Blennerhassett seat, Ballyseedy, Co.Kerry, 1880. He co-designed Farmleigh, Phoenix Park, Dublin. He re-worked Iveagh House, St.Stephen's Green, Dublin (see street view). See genealogy controversy with Mary Agnes Hickson in Kerry Evening Post 1893. 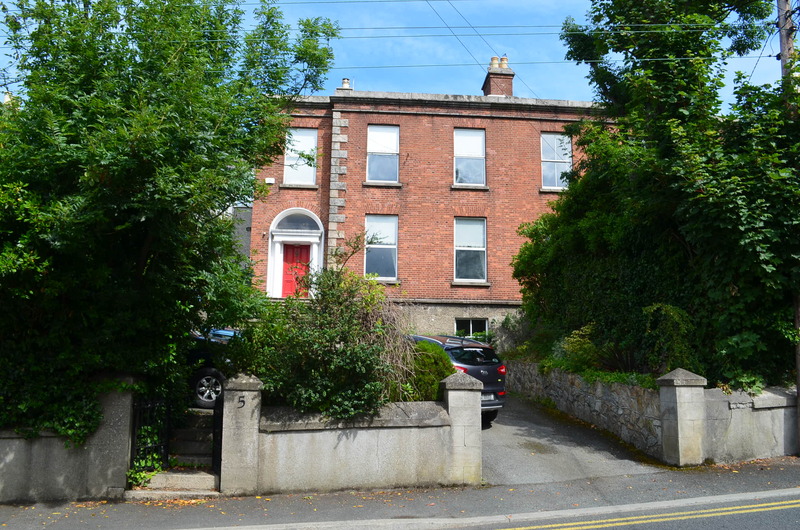 He bought "Lissatier", Eglinton Road, Dublin, in 1898. Lived there until his death in 1924. 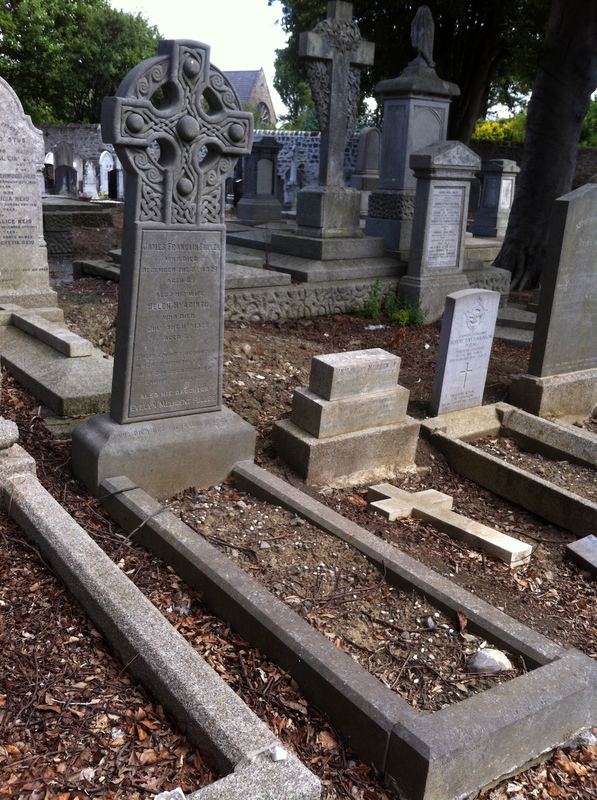 He wrote an account of the Trial of Rowan Cashell in 1901-04.
bur Mount Jerome Cemetery, Dublin. See biographies in DIA and [O'Brien and Guinness, 1994]. 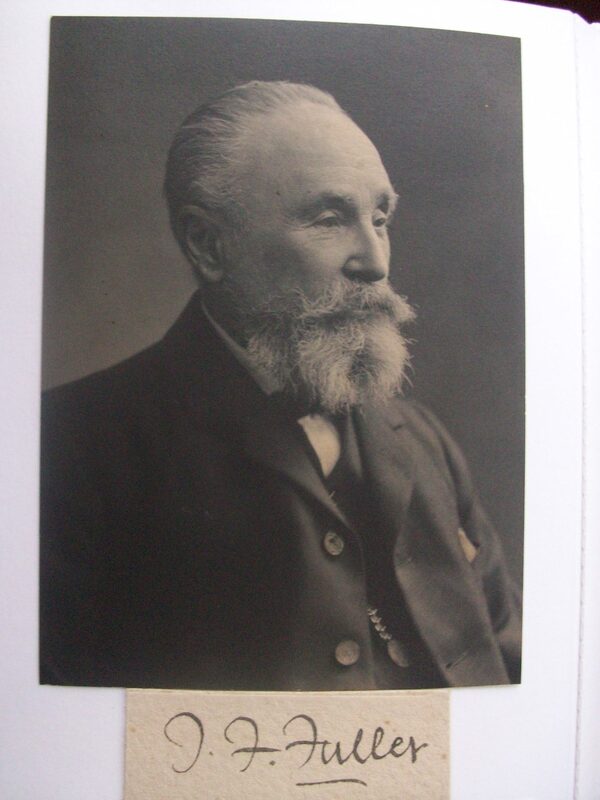 mar 1889 [Kilcrohane CoI par records] to Sir Gabriel Stokes [born 1849] and had issue. 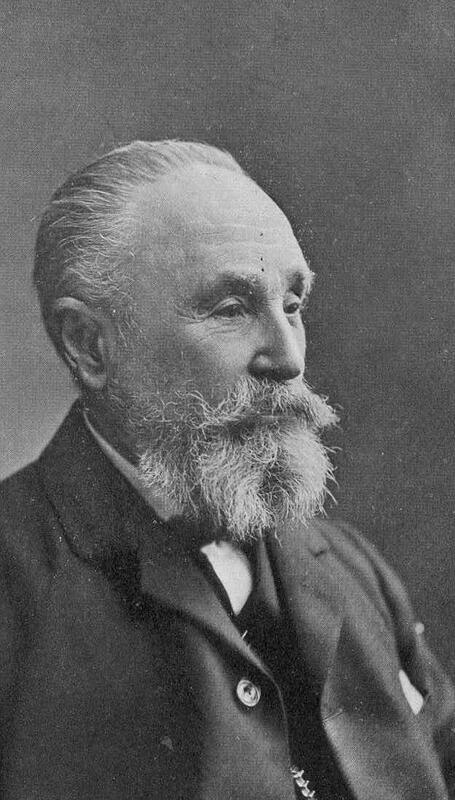 He was a slightly distant relation of the mathematician George Stokes. See STOKES in [Burkes Irish, 1976]. mar 1894 to Augusta Hurly, of Fenit House, Co.Kerry [Hurly seat] and had issue. See FENIT HOUSE in [Houses of Kerry]. she died there in 1958. From here in Stokes family photos by Teresa Stokes. Used with permission. Photo 2006. See full size. From Wikimedia Commons. 5 Sydenham Rd, Dundrum, Co.Dublin. Photo 2013 or 2014 from Teresa Stokes. See full size. Grave of James Franklin Fuller, Mount Jerome Cemetery, Dublin. May 1866, p.699. Shows that at this point all he knows of Capt. Goddard is that he was said to be of Queen's Co.
See p.80 and pp.165-166 and p.214 and p.215. See p.288. Has now found Capt. 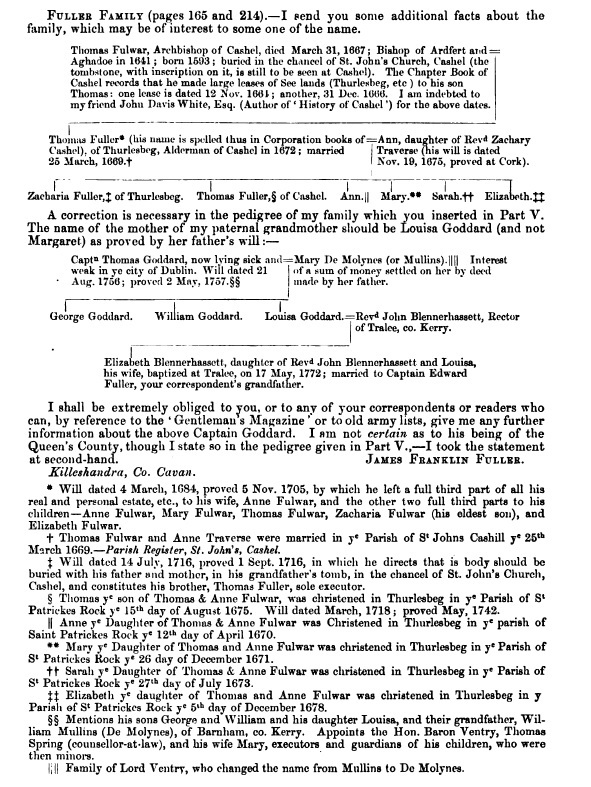 Goddard's will but does not know his regiment or origin. See p.323 and p.324. Mentions the Harnett will. 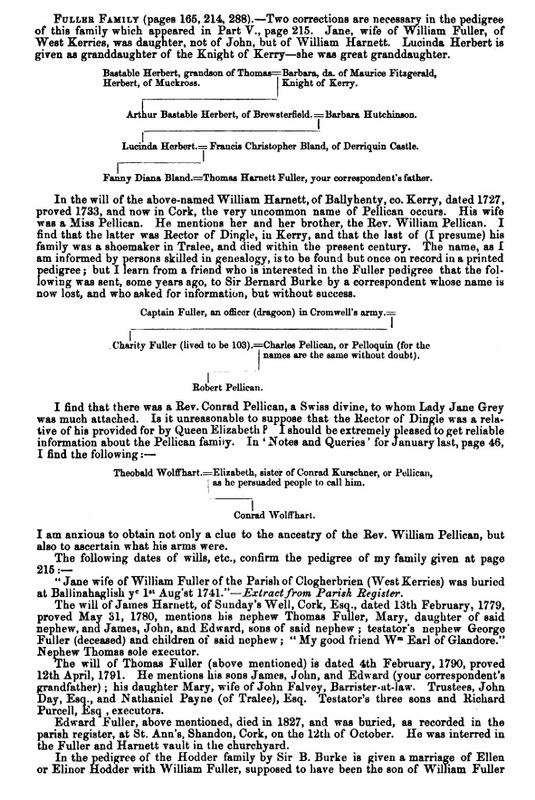 Fuller of England on pp.9-10. 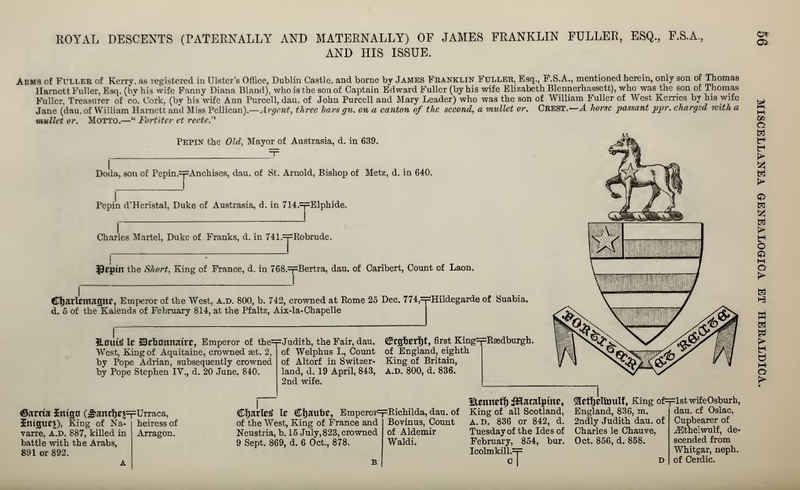 Fuller of England on pp.326-329. 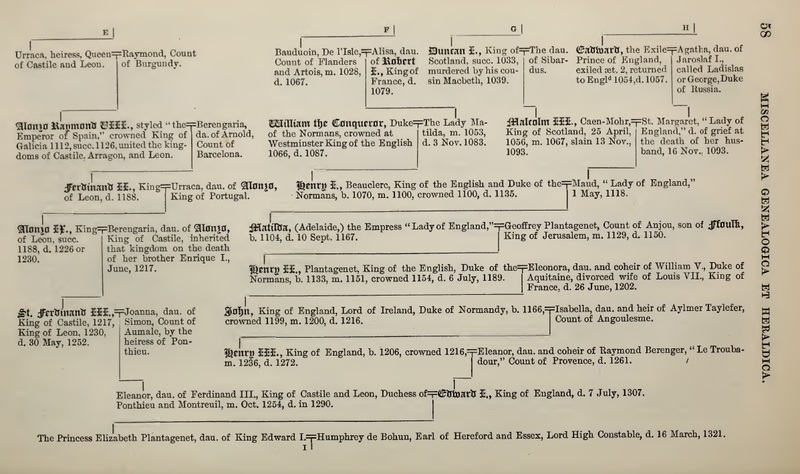 Royal Descents of Fuller, pp.56-60. See rotated p.1 and p.2 and p.3 and p.4 and p.5. The Family of Fuller, James Franklin Fuller, privately printed, Dublin, 1880. This is a book of Royal descents. A number of his descents do not hold since they rely on 3rd Baron Howth being son of Joan Beaufort. 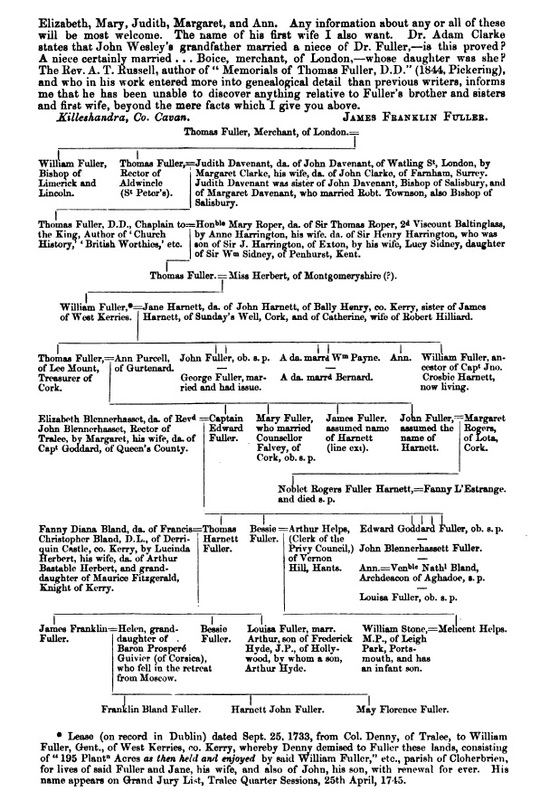 Pedigree of Fuller, p.281 to 287 or 288. The start of this is completely inaccurate. Further down, he has now correctly found Capt. Goddard's regiment. He now says Capt. Goddard is son of Rev. Goddard. Would like more evidence of why he says this. [JCHAS], Ser. 2, Vol. XVI, 1910, [NLI] Ir 794105 c 1. "Fuller pedigree", pp. 88-89 and foldout and p. 194. 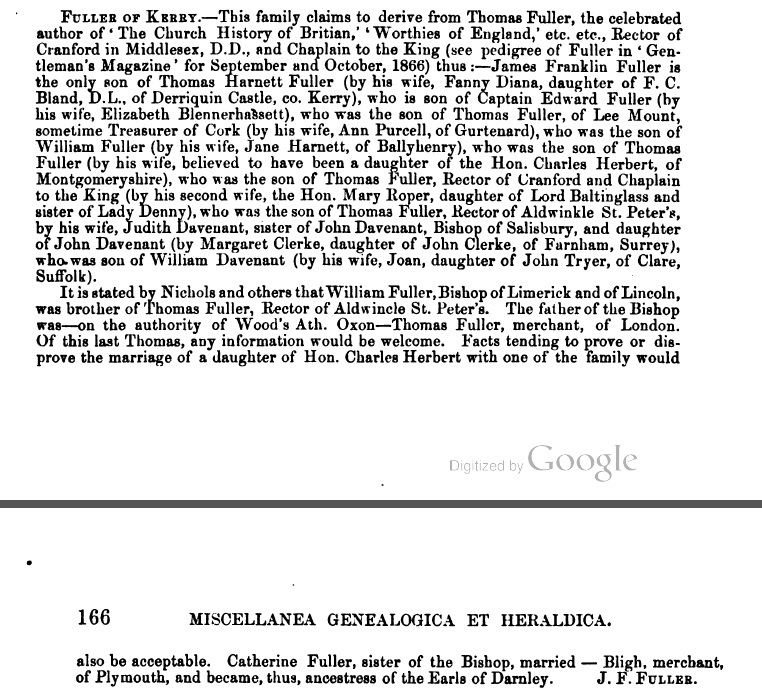 De ffulwer or ffuller family of England, pp.30-35 and 66-70. 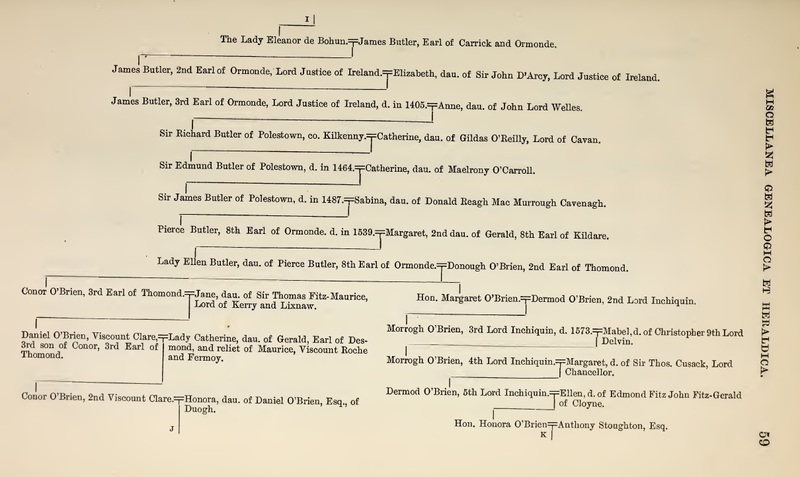 Fuller of Kildare and King's County, pp.130-135. Fuller correction to earlier tree, p.233. 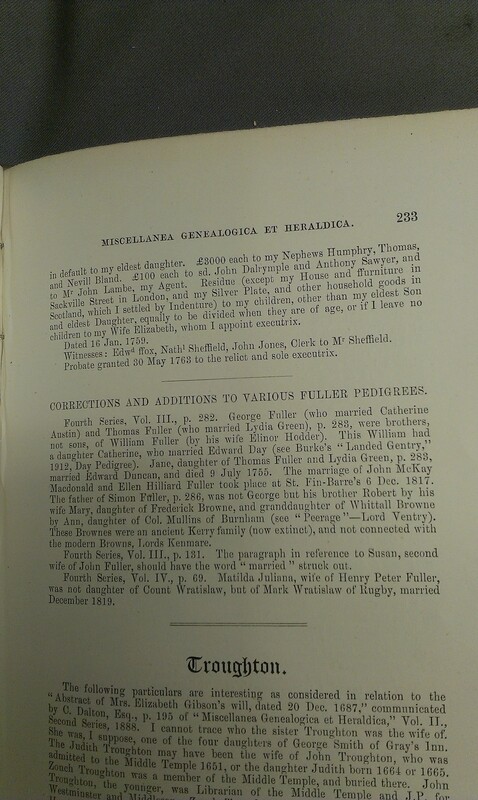 "A curious genealogical medley", pp.244-247, [RIA] AP 1913/1 (shelved with Large Format APs). Was supposed to be [NLI] GO 664 but that is not it. 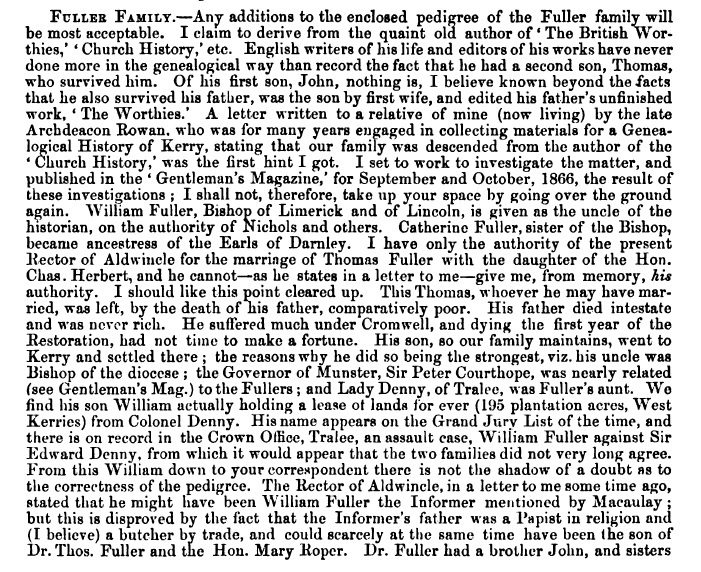 Extracts from diary of Abraham Fuller, pp.314-317, [RIA] MR/26/Q/19a. Fuller notes, p.366, [RIA] MR/26/Q/19a. 1916 edn, [NLI] Ir 92 f 29. 1920 edn (New and Enlarged), [RIA] RR/64/F/4. 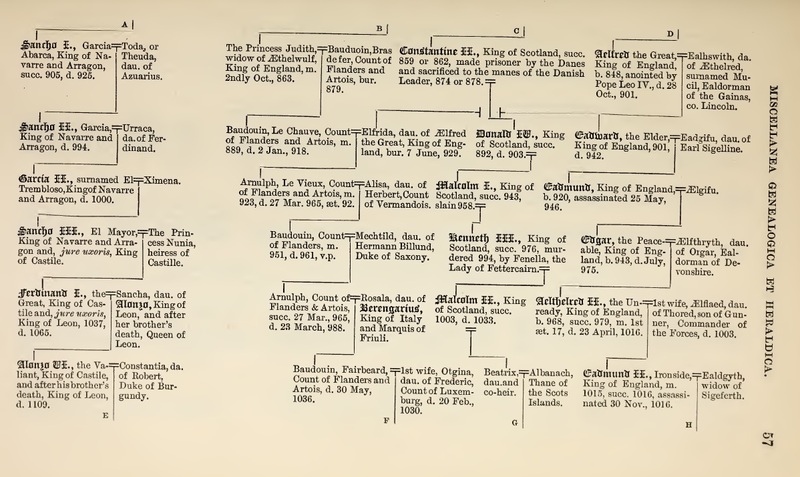 A family tree shows the claimed 32 ancestral lines of JFF. "Reminiscences of Fifty Years", J.F. Fuller. Have done first pass of Fuller papers in the [NLI]. There was a reference to the "Fuller Collection" in the [RIA]. Have searched for Fuller. Can find many donations of books, but no personal manuscripts. Basil O'Connell might have gotten Fuller's papers. Home of James Franklin Fuller from 1898. He is listed at "Lissatier", Eglinton Road (no number) in [Thom's, 1901]. He is listed at "Lissatier", 51 Eglinton Road, in [Thom's, 1914] and [Thom's, 1923]. His daughter Evelyn Melicent Fuller continued to live there. Re-numbered as 83 Eglinton Road in 1934. "Miss E.M. Fuller" is listed at "Lissatier", 83 Eglinton Road, in [Thom's, 1935]. Evelyn died there in 1958. It was then sold. Was recently a guest house called "Eglinton Manor". Survives today as 83 Eglinton Road. [Thom's, 1914] shows that Fuller's house, "Lissatier", no.51, was beside "Glencar", no.49. [Thom's, 1931] shows Glencar at no.49, Fuller at Lissatier at no.51. Eglinton Road was re-numbered in 1934. [Thom's, 1935] shows Glencar at no.81, Fuller at Lissatier at no.83. 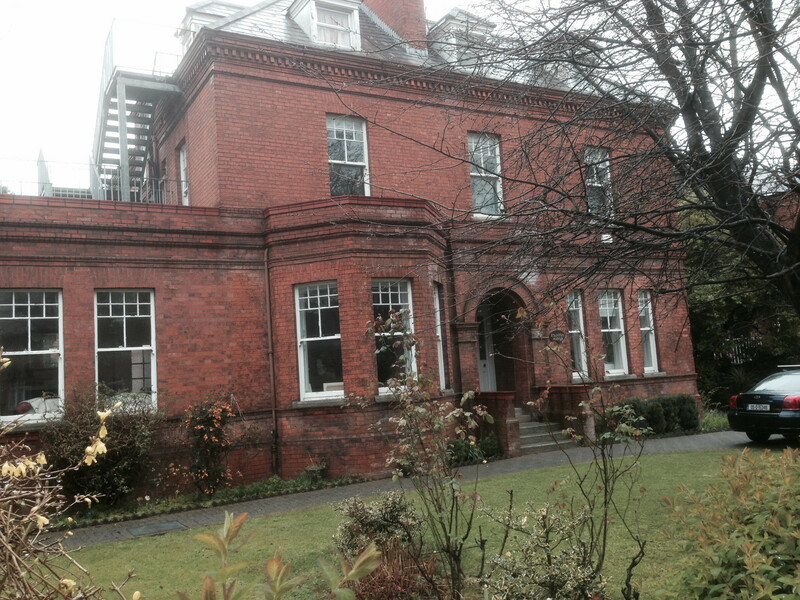 83 Eglinton Road (Fuller's house, formerly "Lissatier", formerly no.51). See 2014 photo by Bob Frewen. JFF lists her in [Fuller, 1868] as "Helen, grand-daughter of Baron Prosperé Guivier (of Corsica), who fell in the retreat from Moscow". JFF lists her in [Fuller, 1877] as "Helen H. Guivier, dau. of John Prospere Guivier, and grand-daughter of Baron Prospere Guivier of Corsica, one of Napoleon's Generals". 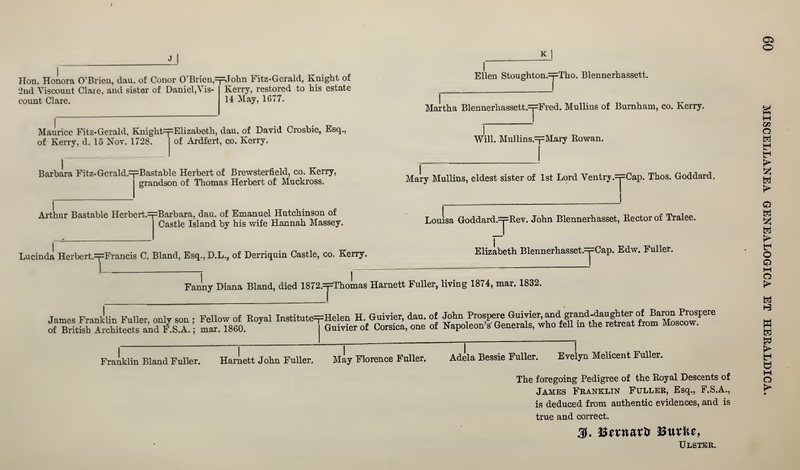 JFF lists her in [Fuller, 1880] as "Helen daughter of John Prospere Guivier and granddaughter of Baron Prospere Guivier of Corsica (one of Napoleon's Generals who fell in the retreat from Moscow)". She is listed in [Foster's Royal Descents, vol.2, 1884] as "Helen H. Guivier, dau. of John Prospère Guivier, and granddaughter of Baron Prospère Guivier of Corsica, one of Napoleon's generals". She is listed in [Burkes Colonial Gentry, vol.2, 1895] as "Helen, daughter of John Prospere Guivion, and grand-daughter of Marshal ("St. Cyr") Guivion, one of Napoleon's Generals". Note the change of surname to "Guivion". This is because JFF has discovered there was a general of (close to) that name, but not one called Guivier. The claim in fact is that she is grand-dau of Napoleon's general, Laurent Gouvion, 1st Marquis of Gouvion-Saint-Cyr (born 1764). She is listed in [Crisp, 1904] as "Hyacinthe Helen, dau. 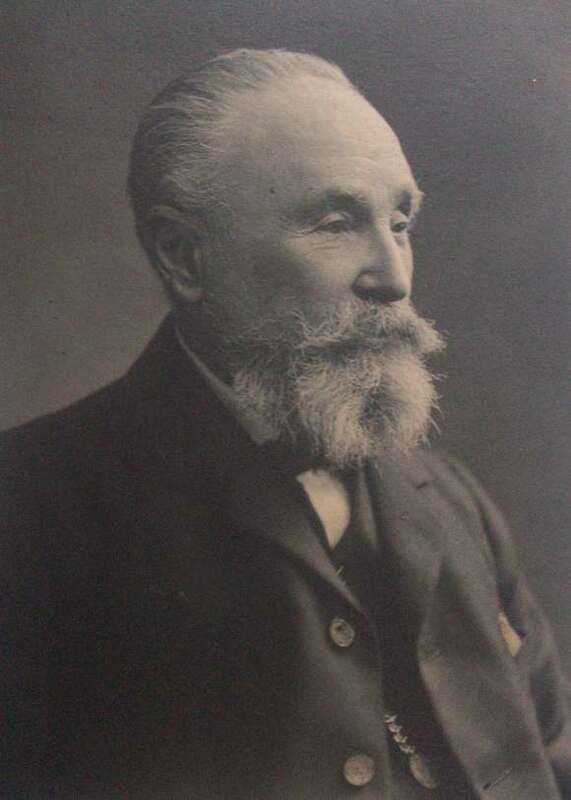 of Prospére Guivion, and grand-dau. of Marshall Guivion (St. Cyr), one of Napoleon's Generals". JFF lists her in [Fuller, 1910] as "Helen H. Guivion, granddaughter of Marshall Guivion of Napoleon's Army". She is listed in [Burkes Irish, 1912] as "Helen, dau. of John Prospére Guivion, and grand-dau. of Marshal (St. Cyr) Guivion, one of Napoleon's Generals". [Thomson, 2009] shows in great detail that this story is untrue, and there is no connection to any "Guivion" or "Gouvion". He lays out in detail Helen Guivier's true origin. He tracks the career of her father Jean Prosper Guivier and her grandfather Etienne Simon Guivier. This research is summarised in [Frewen, 2014].